Editor’s note:: Longtime pros Colby Pearce and Scott Moninger are heading up the new Horizon Organics-Panache Development Team. Pearce will be filing reports throughout the year on the trials and tribulations — and hopefully, successes — of this regional squad of younger riders. This is his fourth entry. Related: Previous entries. The Horizon Organic/ Panache Development team headed up to Steamboat for the finale of the Colorado road season over Labor Day weekend. After a chaotic spring of coaching the University of Colorado team and a summer of MTB racing with some local criteriums mixed in, this would be the perfect opportunity to spend time with some of my teammates and brainwash the youngsters into future champions. We had nine riders in attendance, so the potential for teamwork was great. The race began with a six-mile time trial along the Yampa river that had a few small rollers on it and was primarily flat. I don’t own a TT bike at the moment, and aside from all the intervals I have done in training this year, I have not done a single TT in 2011. 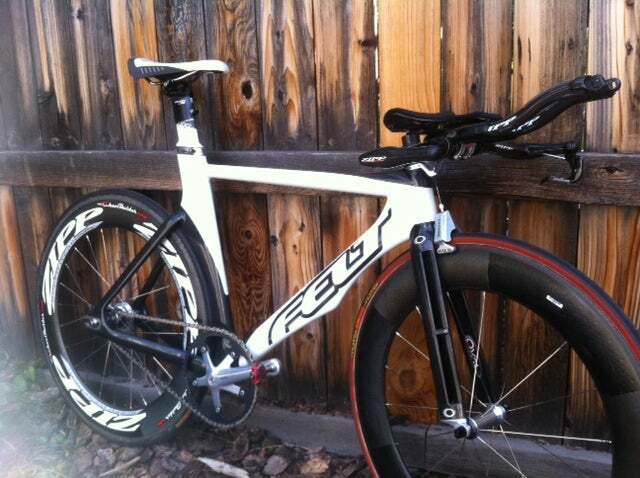 So, I got creative and installed a front brake on one of my Felt TK-1 track frames, and rode it as a fixed-gear bike. We drove up the day of the race and arrived when other categories were already racing, therefore I would have to rely on extraneous reports for course intel. It seemed that the Colorado weather was in a potentially uncooperative mood, which inspired me to gear down at the last minute to a 53×15. I started in very calm conditions, but that changed about 500 meters in when I was kicked in the face by a massive headwind. The gale was so severe and random that on a few occasions I was forced to take my hands off the aero bars in order to avoid a collision with the asphalt. My teammate Nick Traggis finished the time trial with his aero bars at two different angles as a result of the wrestling match he was engaged in to keep his bike on the road. When I was on top of the gear, I felt like I was breaking the sound barrier; unfortunately there were several instances in which I was not on top of the gear. I rode with a CycleOps Joule and upon review of my power data, my cadence had dropped into the upper 50’s on a few occasions. I definitely lost time at these points, but probably would have lost more if I raced on a road bike without aero bars, and it was a fun experiment. In the end, I was the best placed rider from our squad in fourth. Chris Carr of New Hope 360 took a narrow win over Dan Harm of Juwi Solar, with Nate Wilson of California Giant Stawberries in third. Nate spent a lot of time in Europe with the U.S. National team this spring, so I knew he had the suds for GC. Dan packs a lot of punch in short TT’s (he won a silver medal in the 4km individual pursuit at the 2010 national track championships). It would be up to New Hope 360 to defend the race lead for now. Stage 2 was a technical criterium at the base of the ski area. My teammate Scott Moninger made a four-man breakaway and gained some time on GC. There were generous time bonuses on the line, so even though the gap was not big at the end of the stage, he moved up to near me overall. The plus was, Scott and I were now both in the top-six riders. The minus was, Chris Carr’s teammate Rory Kelly also made the break. He had placed well in the TT and was now in the top three overall. This meant our two teams each had two cards to play for the overall win. New Hope 360 was smart to put Rory in the break. The third stage was a 77-mile road race. This stage was really quite nice — the ideal distance and challenge for a field of this level, beautiful Colorado landscape as the backdrop, and perfect pavement. There were three significant climbs on an out-and-back portion of the course, which shattered the field. We sent two of our troops, Nick Traggis and Tyler Nabours, to drive the early break and force New Hope to chase, which they did. All the players sat in and conserved until the climb began, at which point Nate unleashed a vicious attack and blew it apart. By the time we reached the finish 22 miles later, Moninger had soloed in for the victory, Nate was second and the only survivor of the original break, Keith Harper was third. Scott has won over 300 races in his career, including every race you have heard of, and several you haven’t. Even though he does not train very much anymore, he does enough to keep fit between working camps for Peaks Coaching Group, local racing, and working for Speedplay. But you don’t need to teach either of these old dogs new tricks (I am including myself in the category of old dogs). Once the finish line came close both of us clicked into race mode and tapped into years of hard-won experience. Scott used his energy perfectly to solo in and take the race lead. New Hope did what they could to contain the damage. Winning races is always rewarding, the sport of cycling is so hard that every time you cross the line first, it’s a meaningful experience. But the beauty of this weekend was winning the race in front of and with the assistance of our young riders. Instructing the next generation first hand is what the sport is all about. For the final stage of the race, we had the team on the front to defend Scott’s GC lead, and there is no better method to teach teamwork, patience and self belief than riding the front of the field in defense of a race leader. Riding the front of a bike race is like simultaneously having a giant ego rush and also having every rider in the field call your bluff. As long as the team functions as a cohesive unit, the whole squad will have more strength than the sum of its parts. Having cohesive direction and leadership is the key to making this equation successful. The riders also had the opportunity to learn from us off the bike. Details such as what time to eat, how much to train the morning before the criteriums, and how much to warm up were all absorbed overtly and intuitively. Important evening activities included eating, pre-race tactical meetings, and a mandatory viewing of Hot Rod. The final stage was a lesson in tactics. With generous time bonuses on the line, the potential for a breakaway to upset the final classification was always present. 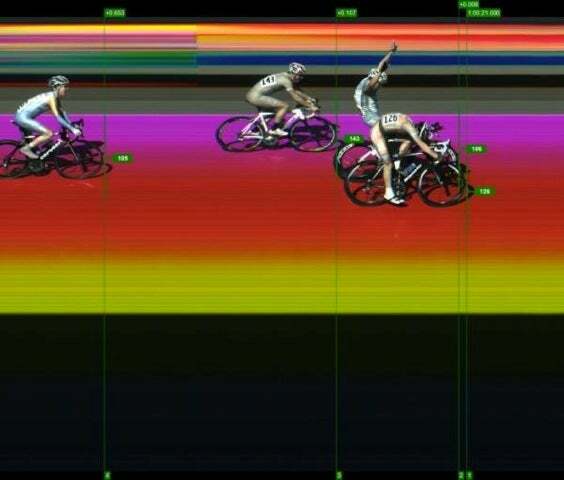 However the paradox of large time bonuses is that when 30 seconds are on the line for the win, the riders don’t ride hard to the line, because they know their effort will cost them the sprint and more time than if they win the stage. This leads to aggressive racing early to establish gaps, but at the finish of the races, breakaways tend to come back to the field. In both criteriums the gap to the breakaways were nearly absorbed. I managed to slip into the break of the day, which was our plan; no matter how far up the road the breakaway got, as long as I was the highest rider on GC, the win would stay within the team. At one point, our move had 50 seconds, and I was close to virtual leader on the road. My motivation for the day was not to take the overall win from Scott; it was to climb the ladder on GC (I started the last stage in fourth) and to leverage Scott’s race lead to win the stage for myself. When my teammate is in the lead, I am under no obligation to work in the breakaway and potentially take someone else up the road to beat Scott in the overall. Some people see not working in a breakaway as dishonest, but it is commonly understood that my job is not to help another team win the bike race. Colby got the stage win when Keith Harper celebrated too early. The fact that New Hope did not realize I was in the breakaway until about 20 minutes to go in the race proved to be a big tactical mistake; taking head count of the top GC riders in a field of 60 is not that hard. Not only that, they had a rider on their team who bridged to the break and was working hard once he got there. A good lesson for our young riders was to watch him work to ultimately help me pass Chris and Rory on GC. New Hope did a great job of defending the race lead up until the road race, but afterwards their tactics were questionable. Explaining the nuances of the weekend’s tactics to our younger riders was some of the best classroom time. The biggest lesson for the riders was that cycling is a team sport where an individual wins. In the end, I was sprinting against Keith Harper of Juwi Solar for the win. As we approached the line, he jumped first and I followed, waiting to time my kick off his wheel. It was a long sprint and Keith was confident, as he had racked up a few victories in the past month of racing. However he made a critical error and celebrated a premature victory, while I sprinted past him to take the win. I believe he thought the finish line was about 15 meters before it was. Just as I began my final kick, he put his hands up — I knew I had it won at that point. It was a satisfying end to the season. Moninger and Pearce celebrate another addition to their palmares. Racing in Steamboat was a real pleasure; I had not raced there since 1998 (on a fully rigid mountain bike, no less) and returning to this quaint Colorado mountain town was part of the charm of the weekend. There has been some talk of the race not returning for the next season, some of which is based on a newer concept in the cycling world: event saturation. We live in a different era now than when I was racing in 1988 as a junior, when there were a handful of weekend stage races in a few obscure Colorado mountain towns. These towns were sparsely populated and still learning about the novel sport of bike racing. I remember Jonathan Vaughters being the only rider to beat Jeannie Longo in the Telluride stage race (how embarrassing for all those aspiring young pros …). Places like Pagosa Springs, Aspen, Telluride, Grand Junction National Monument, and Gunnison are rarely listed on our parcours these days. Back then, any race was a good race, because the calendar was lean, and the races we had tended to be more epic. 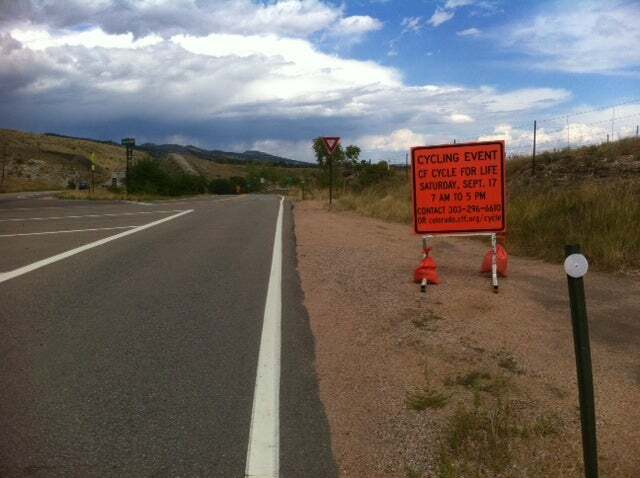 However, in 2011 small towns like Steamboat are saturated with events; the USA Pro Cycling Challenge, Steamboat stage race, charity rides, mountain bike races, running races, triathlons, and other events have taken their toll on the community by the end of the summer. The Front Range is overrun with cycling rides, triathlons, races, group rides, participation rides, mountain bike races, cyclocross races, and clinics…the list goes on. There is always another ride to cure another disease or for another cause. I am not saying this is a bad thing, I love cycling and I am happy it has grown, and brining awareness to disease can be very positive. Thank you Lance Armstrong, thank you Jonathan Vaughters, thank you Kristen Armstrong, for helping our sport grow at such an exponential rate. But when the sport reaches the level of participation it has right now, we need to think before we do. By “we” I mean the people who promote, participate in, support, dream up, fabricate, sponsor, and race in all these events and rides. And because there is a “we”, there is a “them” – the other side of the population, who do not do these things. 3. Every time the other side of the population sees more stretchy pants, their patience get a little thinner. All said and done, I think the Steamboat stage race is a great event and I will be very disappointed if it does not return next season. It is a perfectly sized event for the town, the courses are great, the sponsors are supportive, and it is a perfect exclamation point to the Colorado road season. And, Moots had free beer and burgers for the entire field one night, how can you beat that? A four-day stage race is the ideal event for Labor Day weekend before we get out the skinny knobbies and start hoisting our bikes over barriers. Our team will happily be back if the race happens in 2012.